Talia Joy. The name was everywhere today...on Instagram, on Facebook, on Twitter, on BBM. Then the face...best described as angelic. I just had to know who this little angel was. So I asked my best friend, then I found her Instagram page, then her Facebook page, then her videos.....and it went on and on and on. The more I read, the more I wanted to know and the more I knew, the more inspired I was. For those of you who didn't know like me, you need to hear her story...it'll renew your outlook on life and inspire you to be more appreciative of your daily dose of life. 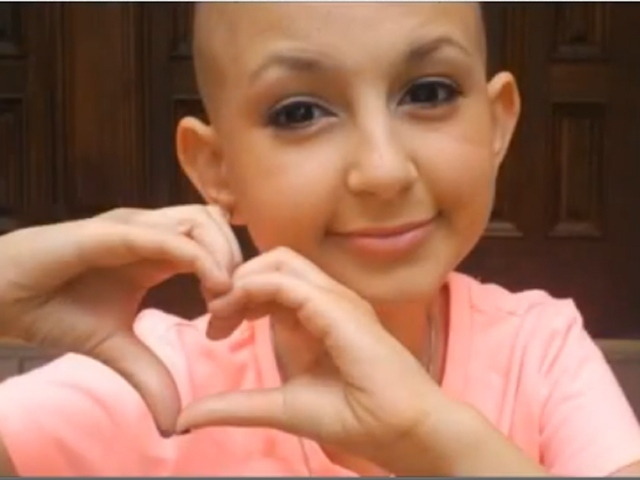 Born in 1999, Talia Joy Castellano was diagnosed with neuroblatoma, a form of nerve cancer in 2007. Over the past 6 years, she has beat it and relapsed a couple of times, constantly fighting, "swimming", as she calls it. 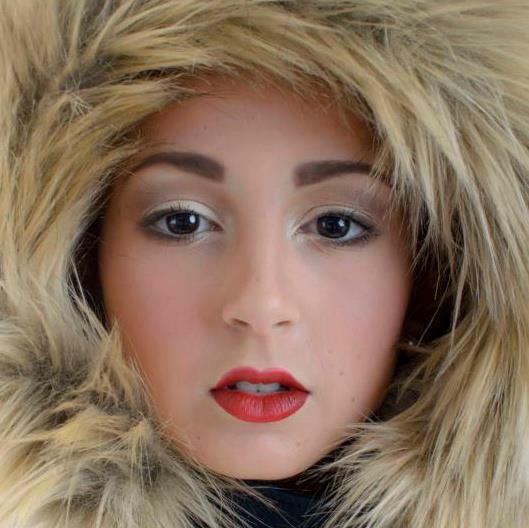 When she was first diagnosed, she discovered make-up through her mom's friend who is a cancer survivor and decided to use it as her "wig", a way to distract people from her bald head. She said she became "fascinated" with it because it gave her confidence. She became so good at it, that she started making You-tube tutorials which went viral, drawing the attention of Ellen Degeneres who brought her on her show early this year. Ellen also made her an honorary Covergirl, garnering her millions more of views and support, even from other celebrities such as Justin Bieber and Kendall Jenner. According to her, "Having cancer has been a gift yet a horrible, horrible, terrifying thing. But I've gotten so many benefits from it...Having a Youtube channel and having to inspire people and having people look up to me and explaining to you guys how I love and adore makeup, using it as my wig and having so much self-confidence to go out to the grocery store without a wig... it's just amazing." 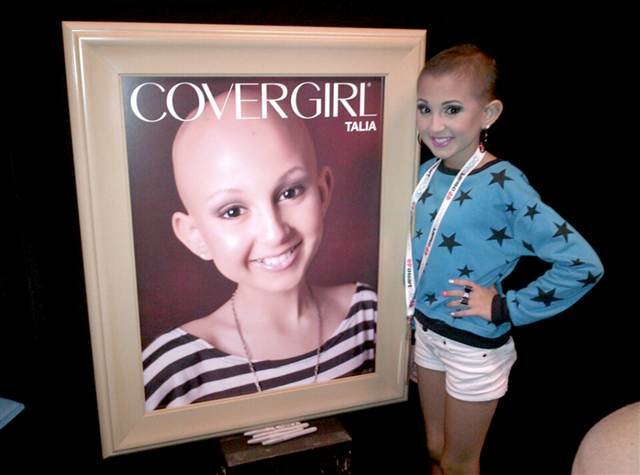 "#‎prayfortalia‬ It is with a heavy heart that we share with all of you that Talia has earned her wings at 11:22am. Please lift her beautiful soul, her beautiful light to heaven and please send your love and prayers to her family during this most difficult time. God speed little one, may you be free from pain and suffering, may your soul feel the light and love that you brought to so many of us on this Earth during the short time you were her with us. We will miss you more than you will ever know baby girl." Cancer did not win. No more suffering for her. No more pain. Just freedom. Just Peace. Its inspiring how many lives this little girl touched, in just 6 years. 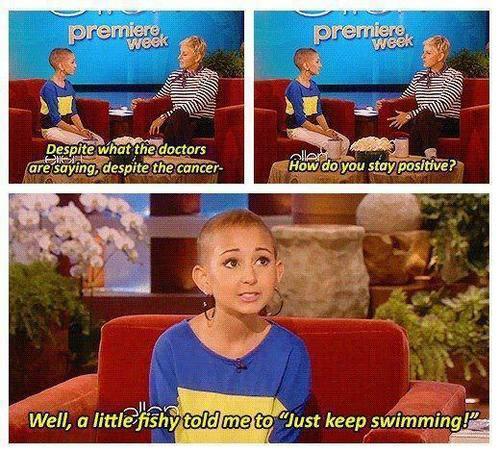 If you read the millions of tributes to her, she will be remembered as the 13 year-old Make-Up guru who inspired people to keep on swimming no matter what. Take the time to read about her and watch her videos. 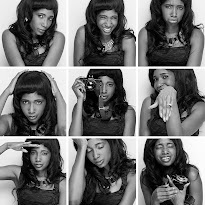 HERE are some of her videos as published on The Huffington Post. Please do take a moment to say a prayer for her family as they mourn the loss of this beautiful angel. May her soul rest in peace. What a beautiful girl. Like you said 'cancer did NOT win'! Will be praying for her family. Thank you for your prayers! Amen!